Trek Bikes are one of the cycling industry’s big success stories. A company that started as a family run business in a small shed in Wisconsin is now one of the world’s largest bike manufacturers. While it’s still controlled by the Bourke family with headquarters located near that original shed, these days the company - which prides itself on its engineering and innovation - produces almost every type of bike imaginable. Despite this, Trek’s reputation is not the primary reason I sought out the Remedy 9.8 to test. Given the opportunity to trial Shimano’s electronic Di2 XT group set (see page 92), I started with the things that mattered most to me in a bike and worked backwards: geometry, travel, a proven reliable parts list, and wheel size. The 150mm, 650b, XT specced Remedy 9.8 - which is longer, slacker, rowdier and burlier than its 2016 predecessor - not only ticked all the boxes, but also offered some interesting features that I was curious to learn about first hand. Trek describe it as “a mountain biker’s bike”. The 9.8 is the second top of the line Remedy, and the highest available in Australia. While other models available locally use an alloy frame, the 9.8 features a nicely finished carbon frame with alloy used for the chain stays. At first glance, the ‘Straight Shot’ down tube stands out for its beefy appearance but also for the massive window it provides in the centre of the bike - even around a full-size bidon. This design keeps the weight down and makes for a stronger, stiffer front triangle. 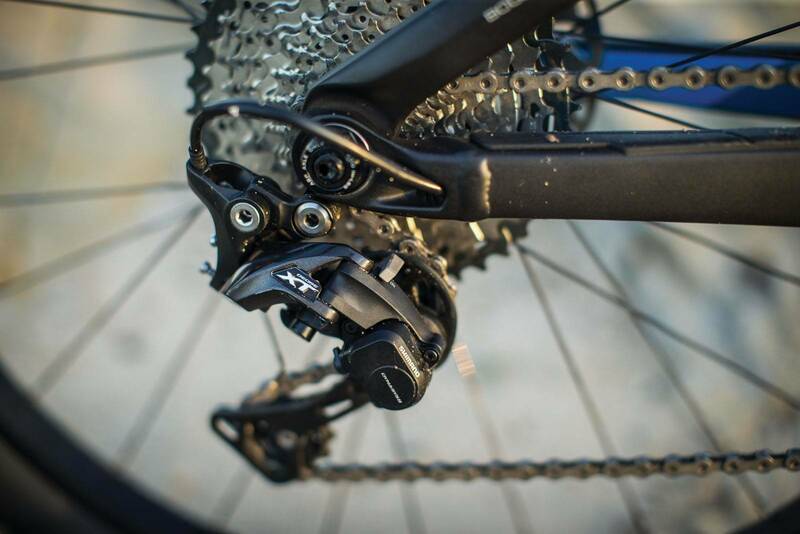 Trek claims this provides far more precise handling than a weaker or chunkier curved down tube design. Spoiler alert, the handling on this rig really is pretty impressive. 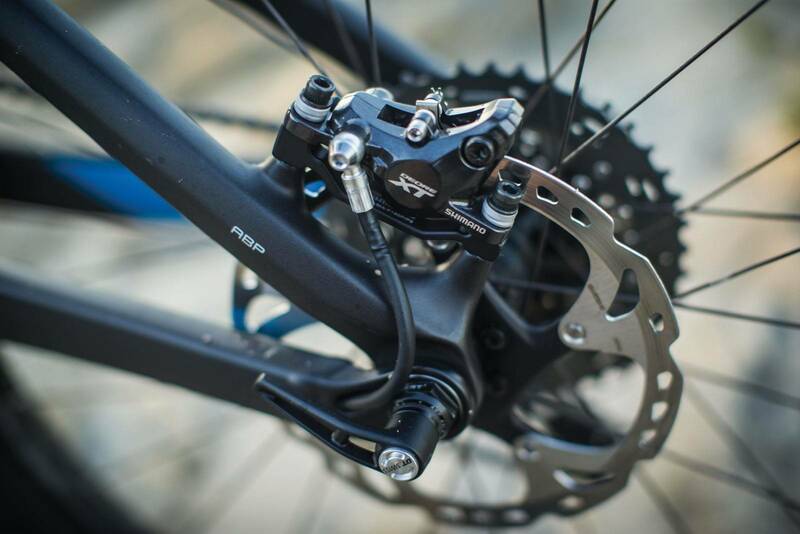 While a curved down tube prevents the forks from slamming into the frame, Trek gets around this issue with a ‘Knock Block’, which limits the rotation of the front of the bike in the event of a crash. Limiting the steering at its extremes is a somewhat divisive solution among consumers and proved to be quite a conversation starter. The history of innovation in this industry suggests that while this enables good things in the short term, it won’t stick around forever. That said, despite taking some slightly wider-than-normal lines early on, I only ever felt the Knock Block blocking during trackstands. 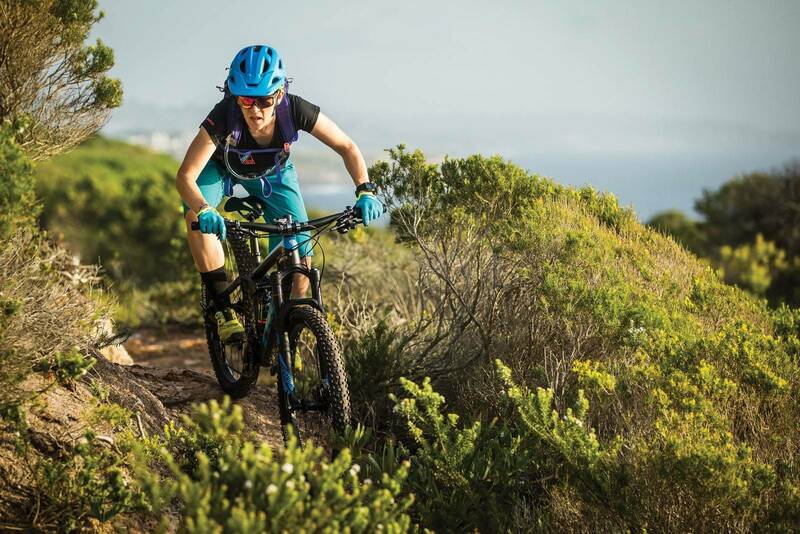 There’s no one bike to suit all trail conditions and the Mono Link is an interesting and simple feature for riders torn between the ups and downs of trail riding compared with that of enduro or all-mountain (which is often rougher and downhill focused). Rotating this link essentially slackens the head angle from 66 degrees to 65.5 degrees. It lowers the bottom bracket height by 10mm and takes less than five minutes to change over. 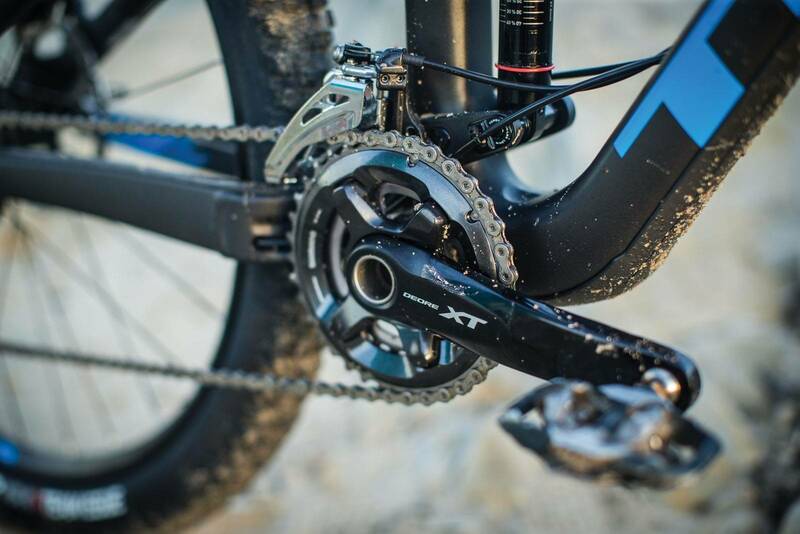 The bike comes specced with a Shimano XT groupset, including the brakes, which are a personal favourite. The wheels, cockpit, saddle and tyres are taken care of by Bontrager. This in-house brand has been coming into its own lately, with their tyres and saddles luring riders away from old, trusted faves. 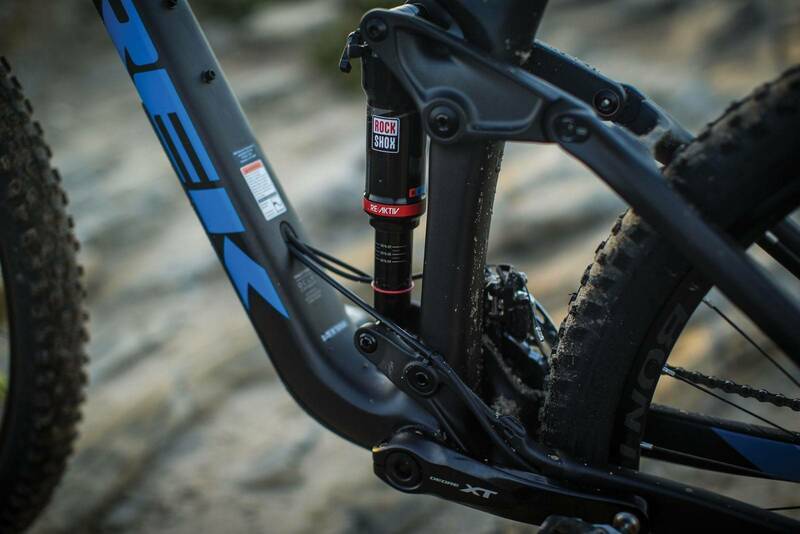 A 150mm RockShox Pike RC appears well-matched to a RockShox Deluxe RT3 rear shock featuring Trek’s proprietary RE:activ 3-position damper. 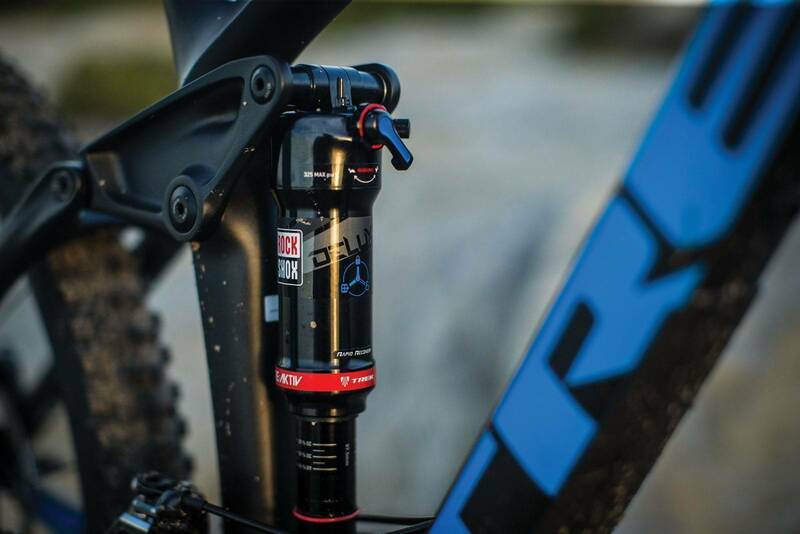 The Deluxe is part of RockShox new metric range, which has been developed with the aim of providing less stiction by minimising lateral flex. The RE:activ damper aims to provide pedalling efficiency while quickly transitioning to plush performance in response to trail obstacles. As for the wheels, while the previous generation of Remedys were available in 650b or 29” builds, the new design is 650b only, with 29er fans directed toward the 150/160mm Slash. Both bikes share the same chain stay length (433mm), an interesting decision, with the long wheelbase of the 650b Remedy indicating very stable descending. I’ve always ridden a small sized frame, but setting up this 15.5” test bike I was surprised to find I couldn’t get the seat far enough back on the rails of the RockShox Reverb post to centre my knees over the pedals. I’m not long in the legs, but this ‘forward’ position led to quite a cramped feeling on board. If I was holding on to this bike for longer I’d track down a dropper post with setback to address this. Given dropper posts with setback are still a relatively rare thing in the trail riding scene, a lot of people are tending to go up a frame size in similar situations. Following up this line of thought, I was surprised to find that the medium sized Remedy is a fraction lower than the small in standover and has the same stack height. The main difference between the two frame sizes is the medium is 3cm longer in the reach. While other riders I spoke to have found the medium and large sizes to be spot on, it’s definitely worth taking this bike for a test ride at a demo day, or at your local dealer, if you’re on the small side. As far as personal changes go, I cut the bars down from 780mm to 730mm, swapped out the Bontrager Evoke 3 saddle with the racier Bontrager Anja Pro Carbon, and ditched the inner tubes in favour of sealant. If I was to pick two words to describe the Remedy ride feel they would be “precise” and “planted”. In fact, in terms of plantedness, it’s the most 29er-y 650b bike I’ve had the pleasure of riding, especially on long, loose, straight-ish descents. 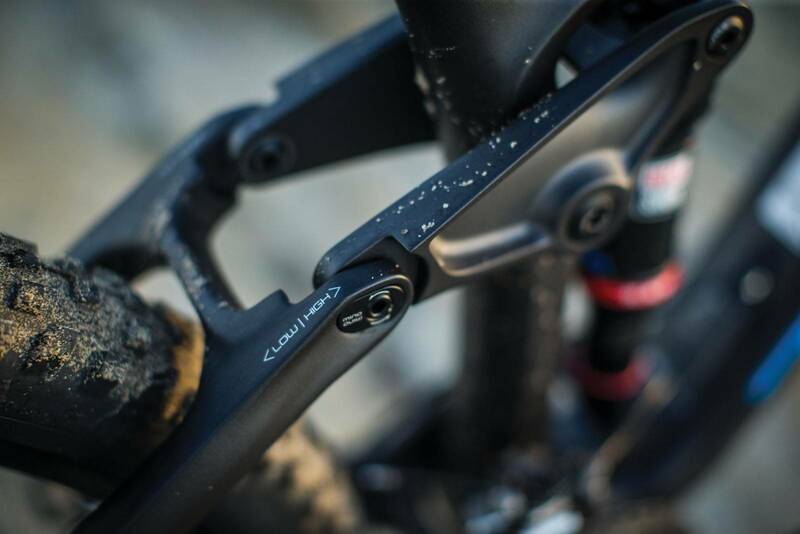 Short chain stays are a point of pride among many 650b trail bike designs, yet this one bucks that trend making for a distinctively different ride feel. For comparison, the short 420mm chainstays of the 650b/150mm Specialized Stumpjumper make for a very flickable, playful rear end, while this bike suits someone who likes the back of the bike feel more glued (in a good way) to the trail. 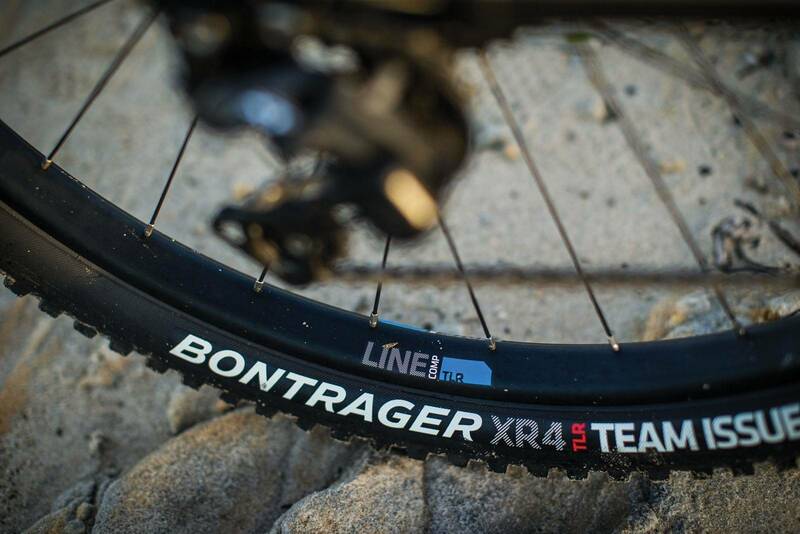 Matched with the superior traction provided by the Bontrager XR4 Team Issue tyres, this is a bike that surprises you with its ability to grip in many situations where others let go, even on technical climbs and long after I expected the rear to spin out. As for longer climbs and commutes to the trails, the lack of discernible pedal bob was noticeable for a bike with this much travel. When things got twisty or obstacle-laden, the Remedy’s nimble front end hit its lines with effortless yet pin-point accuracy. This is partly due to the 650b wheels, but the boost hub spacing and front triangle design take this to another level. This was evident right from the first ride, prompting an instinctive experience that has you confidently pushing the Remedy to its limits right from the get go. As a result, you’ll find yourself getting more creative by the second and pulling off lines you didn’t think possible. Switching the Mono Link from steeper to slacker, the descending euphoria goes up another notch. While 0.5 degrees isn’t much on paper, the slacker head angle and lower bottom bracket mean you can barrel into things a lot more. On the flip side, the steeper setting offers better performance on climbs and more pedal clearance, which is good if you’re riding through rockier terrain. As another Remedy fan said during this test period, this is the bike you choose if you find yourself riding fast but a little too much out of control on something like the 29” Slash. Bigger wheeled, long travel bikes flatten things out and can isolate you from the trail a bit, which takes the fun out for some types of riders and reduces the sense of control for others. 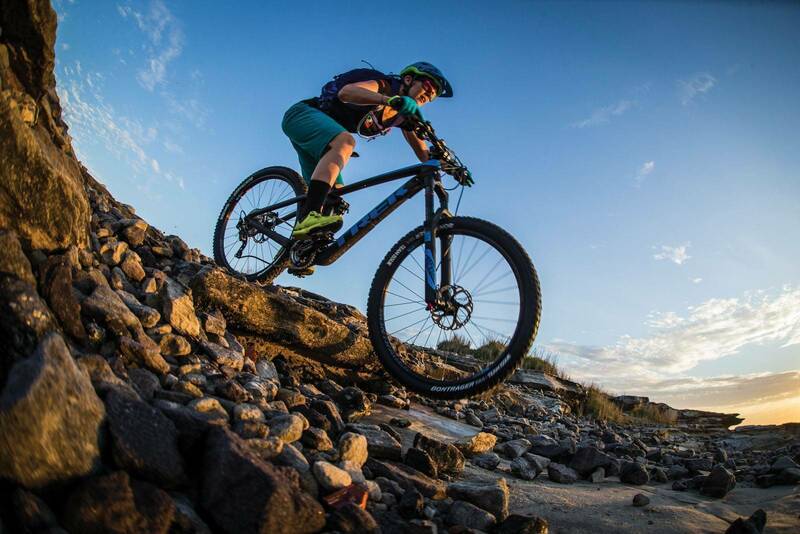 The Remedy certainly excels at speed but with more immediate trail feedback and responsive handling. One area where I was unable to get the full experience out of this bike was the suspension. I’d recommend a custom tune as the first change to make on any new bike - but as a lightweight (56kg) rider, I’d advise it instantly for this one. Out of the box, with the sag on the Pikes set to the recommended 25%, I found I was diving through my travel far too easily on the front - a sensation that would likely improve by adding more volume spacer tokens. As far as the rear goes, I struggled to push it past 60% of the available travel, even when running it fully open. It just ramped up super hard. The small bump compliance of the combined suspension package was also lacking when set up for my weight and had a slight delay that made the carbon frame feel more like an alloy one. That said, experience suggests that this is still one of the better stock tunes out there for 75-90kg riders and is something that is an easy fix for riders outside this range. A few hundred dollars spent customising this area of the bike (or any bike) for your specific riding needs would make it feel, and ride, like a machine priced a few thousand dollars higher. The Remedy has a lot of personality, which is well supported by a durable, proven parts list and some interesting ‘Trek Exclusive’ features. If it’s versatile, technical, all-day riding that makes you giddy with see-what-I-did-there line choices, this one gets a massive tick. Perhaps even bigger, as you can switch up the Mono Link and make it more trail or more enduro depending on the terrain of the day. It’s so planted and precise it holds and hauls, with the front triangle design and long chain stays providing a ride experience that lives up to the hype. This delivers instant skills and confidence to developing riders, and rewards even the keenest, most experienced riders with a whole host of new, playful ways of attacking an endless variety of trails. 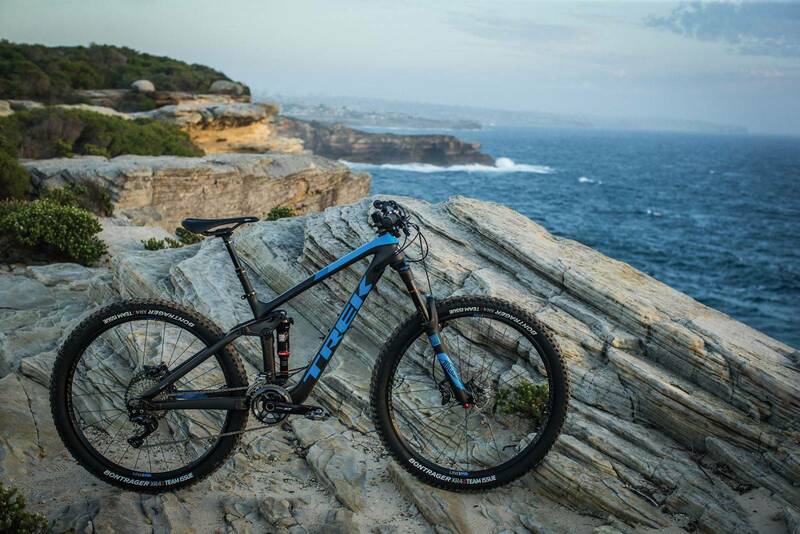 At $6,799 the 9.8 is competitively priced for a spec that, for the most part, appears to be chosen for mountain bikers by mountain bikers. Smaller riders will want to look twice at the setup and probably tune the suspension to get the most out of this rig. 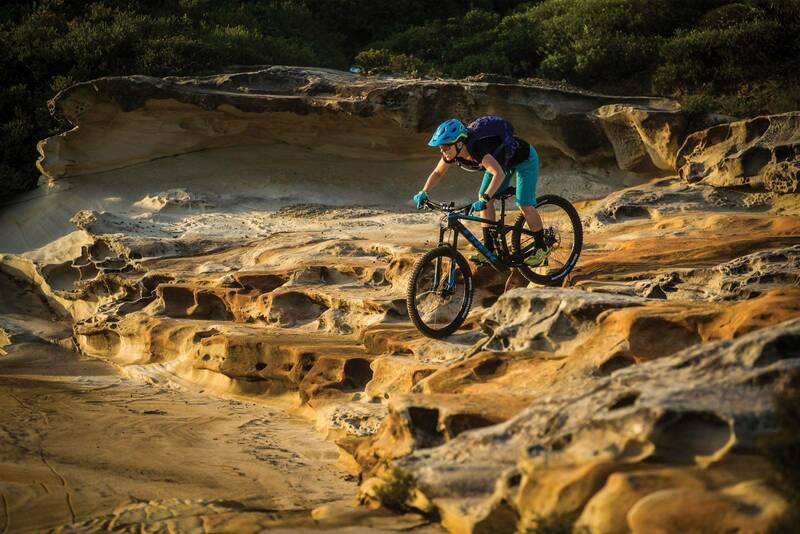 Riders of other bikes will want to look twice to see who just flew past them on the trail.